Here is my page. I love this sketch and everything that can be done with it. I wasn't feeling the circle, so I replaced it with a 4x6 photo instead. 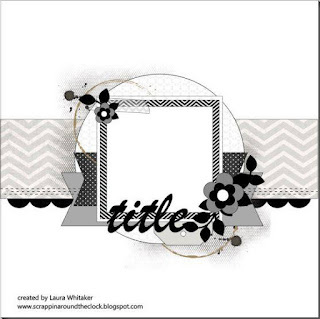 Because I chose busy patterns in my papers, I left the edges blunt, but I added banner shaped stickers to add interest. I oversized the embellishment clusters, well, just because. My song inspiration comes from the very first line of the song: "There's a lady who's sure all that glitters is gold". I used gold glitter, and a photo of my Grandma, who always wore gold. I'm pretty sure this is the last photo of us together. Im not sure the is what I had in mind for this photo, but my Grandma took pride in her appearance, always wore jewelry, and taught me to be the same way. So maybe the gold, and flowers and femininity of the page is just right after all. A $15 GC is up for grabs. 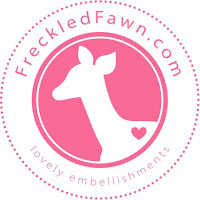 If yu haven't played with Freckled Fawn goodies, you will love what you find there. Thanks for stopping by my creative view today. I've got more to share, some check back again soon. 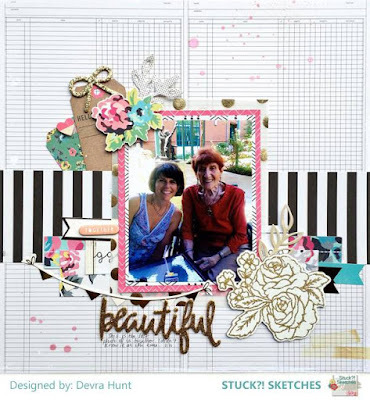 Gorgeous page, love love the pops of gold - great tribute to your grandmother! Beautiful page. Love those colors. Thank you for playing along with SIWAS. 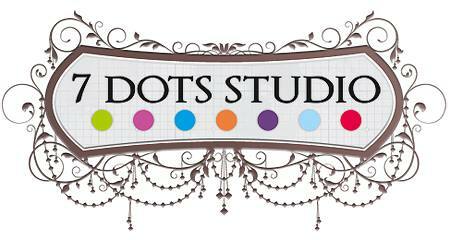 Great photo, loved you used colorful embellies. Thanks for joining us at SIWAS. Beautiful memory page ! thanks for playing with us at SIWAS !